This new public dataset is invaluable for anyone who wants to learn how to build a custom machine-learning model, create an app for sorting and visualizing the images, and more. 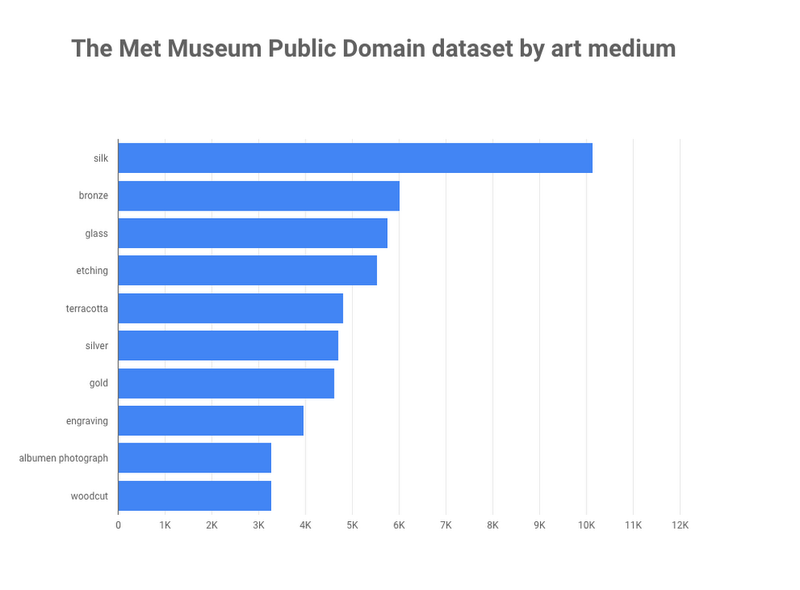 Today we’re adding a new public dataset to Google BigQuery: over 200,000 items from The Metropolitan Museum of Art (aka “The Met”), representing all its public domain art from a total of 1.5 million art objects. 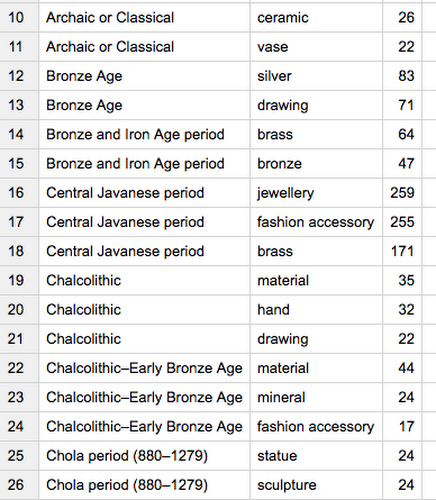 The Met Museum Public Domain dataset includes metadata about each piece of art, along with an image or images of the artifact. 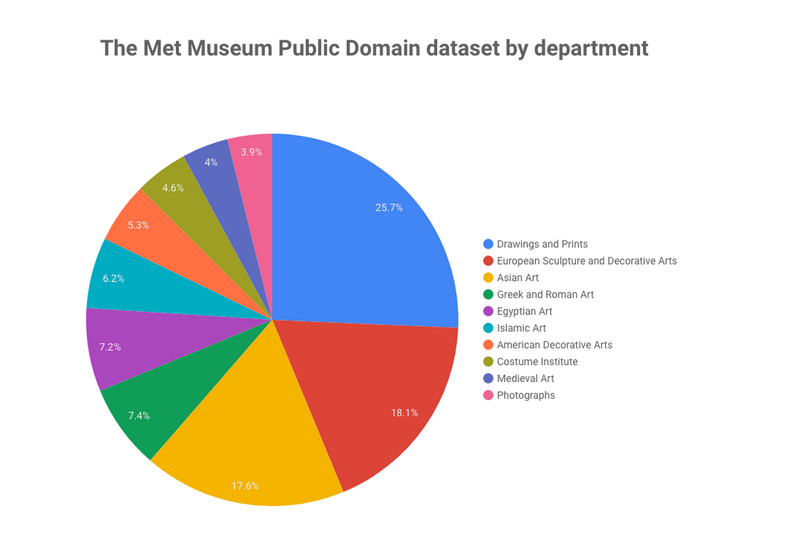 Google and The Met Museum have been close collaborators for years through Google Arts & Culture and we’re incredibly excited to bring the museum's public dataset to BigQuery. Because art is visual, our analysis can only go so far by looking at metadata. We’ve got images for 200,000 pieces of art - that’s a lot of pixels! I took one image for each of our 200,000 pieces and sent it to the Cloud Vision API. Then I took the Cloud Vision API’s JSON response and stored the result in a BigQuery table. This gives us lots of information on each piece of art: what’s in the image, where the image can be found on the web, urls of similar images, and more. For details on how I processed these images, check out this post. "description": "Metropolitan Museum of Art"
Which images contain famous landmarks? We can use the Vision API’s landmarkAnnotations feature to identify common landmarks in our photos (more on that here), so I was interested to see if it was able to extract a landmark from items in The Met collection. These examples just scratch the surface of what you can do with this dataset: there are possibilities for comparing the images with other art collections, using the data to build and train a custom machine learning model, building an app for sorting and visualizing the images, and more. I’d love to see what you do with the Met data--leave a comment or find me on Twitter @SRobTweets. To learn more about the Cloud Vision API, try it out on your own images by uploading them directly in the browser to see the API response. Then start diving into code by going through the Cloud Vision API quickstart. Stay tuned for more posts exploring this dataset, including training a model on the Met data using TensorFlow, and for many exciting collaborations between Google and The Met.